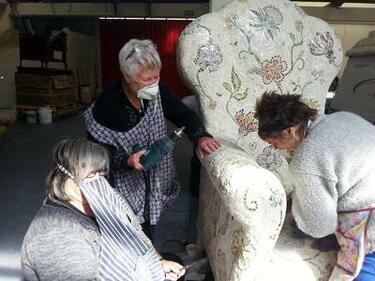 A photograph of Marie Hudson attaching a flower mosaic to Crack'd for Christchurch's armchair artwork. 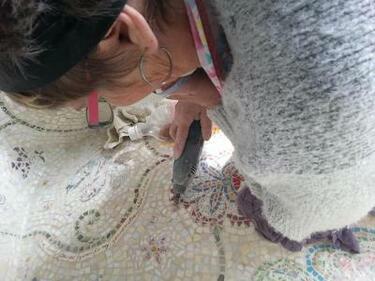 Below, Jenny Cooper is polishing another flower mosaic. Crack'd for Christchurch comments, "Marie makes it look easy." 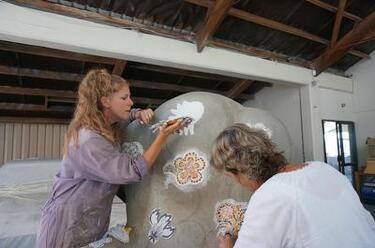 A photograph of Jennie Cooper polishing one of Crack'd for Christchurch's mosaic flowers. 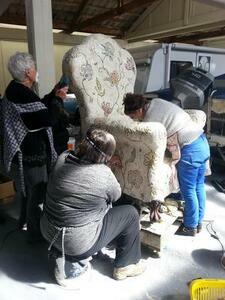 The flower has been attached to their armchair artwork. 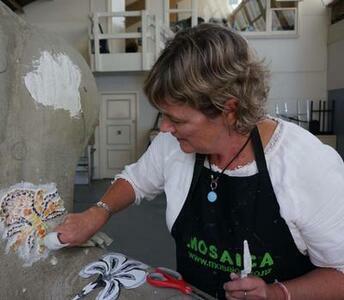 Crack'd for Christchurch comments, "And each flower is polished." 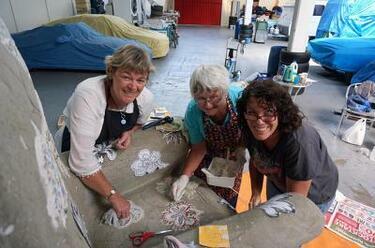 A photograph of Marie Hudson attaching a flower mosaic to Crack'd for Christchurch's armchair artwork. 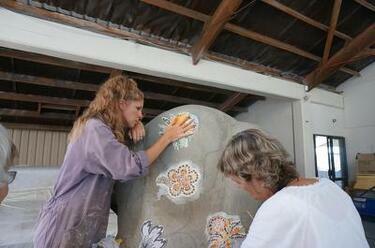 Below, Jennie Cooper is polishing another flower mosaic.